Love sports but want to try something other than the usual live matches? 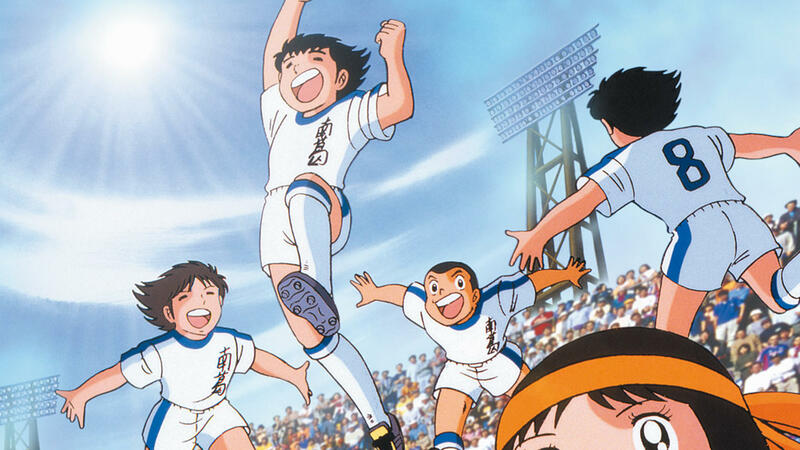 Here are some of the best sports anime that you should check out. 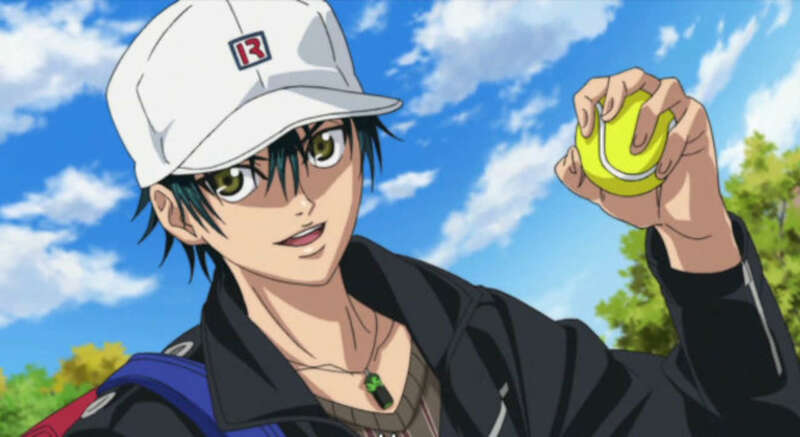 Based on the manga by Konomi Takeshi, this 178-episode anime features a young tennis prodigy Echizen Ryoma who attends Seigaku to surpass his father. The series has spawned animated and live action movies, musicals, radio shows, video games, and numerous soundtracks. Based on the manga by Matsumoto Taiyou, the 11-episode Ping Pong is about two best friends, Smile and Peco, who are both fans of the sport but are taking different approaches to becoming the best table tennis players. Haikyuu!! is based on the manga by Furudate Haruichi, which features two former rivals Hinata Shouyou and Kageyama Tobio who ended up attending the same school. Now they have to work together as teammates in Karasuno boys’ volleyball team to take the school back to the nationals. This 131-episode anime is based on the manga by Terajima Yuji. Three promising first years, Sawamura Eijun, Furuya Satoru and Kominato Haruichi, join Seidou High School. They have to do their best to be worthy members of the club and in what may be Coach Kataoka Tesshin’s last stint. It’s said that a lot of professional soccer players once enjoyed Captain Tsubasa, which was based on the manga by Takahashi Youichi. It’s about the protagonist Oozora Tsubasa’s struggles to achieve his dream of winning the World Cup for Japan. Inspired by the Mitsuda Takuya’s 78-volume manga, this famous baseball anime takes a different tactic in storytelling by chronicling Honda Gorou’s journey as a baseball player starting with his kindergarten days. Written and illustrated by Watanabe Wataru, the series inspired a 38-episode anime that features Onoda Sakamichi’s discovery of the bicycle racing club. Originally, he had no intention pf pursuing the sport because he was planning to join another school club. 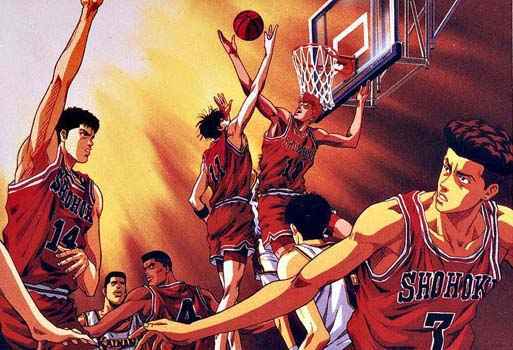 The series has an unusual lead character, Sakuragi Hanamichi, an unpopular delinquent who had a change of heart after Akagi Haruko introduced him to the Shohoku basketball team. While most of the lead characters on this list were born with natural athleticism, Kuroko Tetsuya has no special skills except his unusual passing. He joins Seirin to deliver a message to his extremely talented former teammates in Teiko Middle School. Fujiwara Takumi is just a regular gas station attendant, but he is secretly honing his driving skills every morning whenever he delivers the goods from his father’s store. Based on the manga by Shigeno Shuichi, Initial D is about his unexpected rise to popularity after defeating a well-known street racing group. Do you find yourself spending more money on food than usual? Are your thoughts always filled with yummy treats? Do you still feel hungry even after several small meals within the day? If you have finally noticed how your life is slowly spiraling into an obsession with food, maybe it’s time to step back and ask yourself if something’s wrong with your body. •	Stress. Chronic stress messes up the level of cortisol in your body, so that even if you do not need the extra energy, your body is telling you that you need to eat more. Do not underestimate what stress can do to your physical and mental health, because you’ll end up with more serious problems later. •	Dehydration. For some people, constant hunger is a silent symptom of being dehydrated, but they are mistaking the signs for hunger instead of thirst. If you feel thirsty, do not substitute water with other beverages to avoid health problems. •	Insomnia. If you have had problems sleeping for some time, your body’s hormones will make you feel hungrier no matter how much you eat. 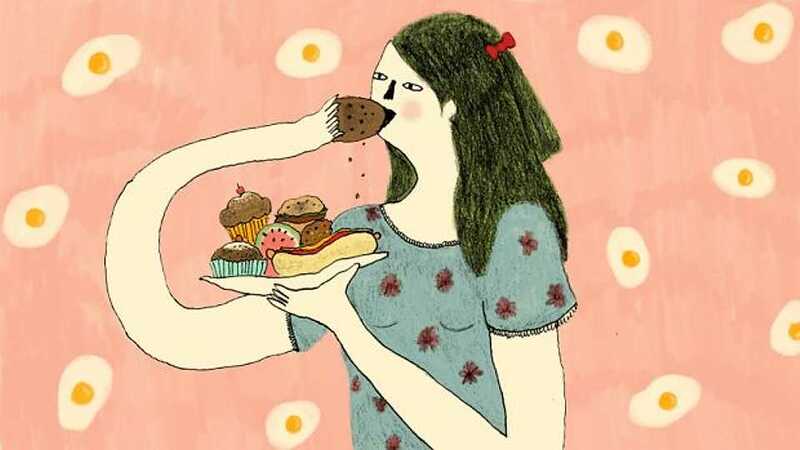 You’re more likely to gain weight that way, because you will be craving for food high in calories and fat. •	Hypoglycemia. When your body’s glucose levels are too low, your body will tell you to eat more so that it can convert more sugar into glucose. If this is the case, then you need to visit a doctor to determine potential causes, such as diabetes, kidney disorder, and pituitary gland disorder. •	Diabetes. The sugar you consume is converted into glucose and is supposed to power the cells, but if you have diabetes, all the converted sugar is not used. This will send a wrong message to the rest of the body by telling you to eat more despite not being able to gain weight. •	Monthly Period. Hormonal changes in women can drastically affect their appetite, especially during the days leading to or during the monthly period. Your body is demanding more calories because of its heightened energy state. •	Skipping Meals. 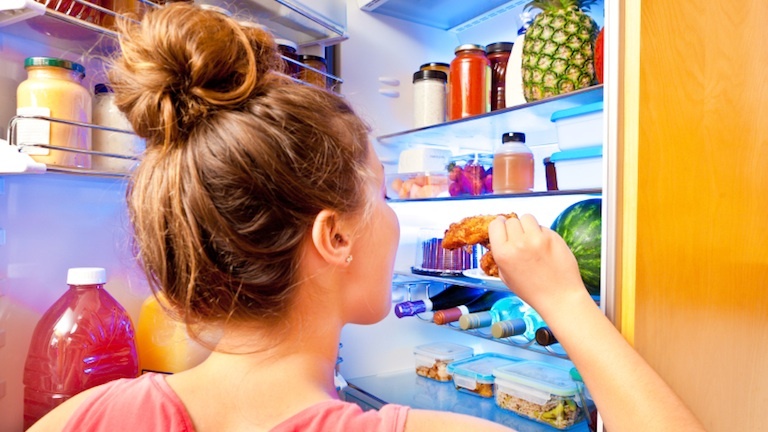 Depleting your store of energy can make you hungrier for your next meal. If you’re trying to lose weight by skipping meals, you should reduce the food portions instead. •	Medication Side Effect. If you’re taking medications, check the label for a list of side effects, because some drugs tend to increase a person’s appetite. As long as you eat healthy food though, it should not be problem. •	Fast Metabolism. You can’t do anything about this, but at least try to eat a complete, healthy meal on time and always stay hydrated. •	Not Enough Protein and Fat. Perhaps the constant hunger you feel is a sign that your body is telling you you’re not getting enough fat and protein. But if your diet consists of refined carbohydrates, you will still feel hungry no matter how much you eat. What comes into your head when we talk about books? I’m pretty sure what comes into your head unconsciously is a specific genre. We all have our preferences and there is no need for us to put a barrier between books. The only distinction we have to make is differentiating the good books from the bad books. The saddest part of reading is finishing a book and realizing it wasn’t that good and you have had wasted your time. We usually feel the same sort of feeling when we are watching a specific movie. Ever saw a movie that you were dying with expectation to see then somehow it turns out way below your expectation? Well, we can all relate with that feeling. We’ve all experienced it at least once in our lives. When it comes to books, picking out the right books can be the same. 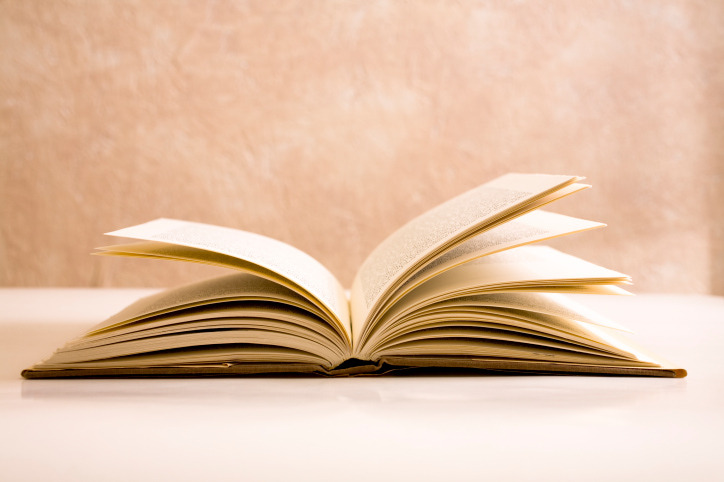 Although not every book is useless, there are some books that have been published just because of the sake of being published and have nothing to do with a talented author. Well, this is the reality we live in whether we like it or not. We just have to accept the fact that there are some publishing companies that aren’t picky when it comes to publishing books. Now, you’ve probably got a clue as to knowing where good books come from. Well, good books definitely come from good publishing companies. Simple, right!? 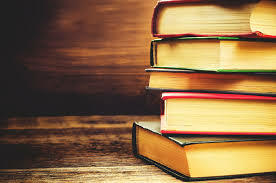 Although there might still be that needle in the haystack where a certain book slipped the hands of those deciding the quality of the book, these things rarely happen coming from a good publishing company. Most publishing companies devote themselves in publishing a single genre or sometimes related genres. There are certain publishing companies that publish every single genre out there but then again, they are still mostly known by their popular genres instead of everything. Looking for a good book from your favorite genre to read? Well, now it’s time to find your favorite publisher. Look beyond the book and beyond the author, look at the publisher. People with high standers pride themselves of providing the best since they only allow the best to get through them. These people are called critics. You should also have a few of your favorite critics! Read the criticism on your favorite book and look for a critic that really speaks to you. That critic will most likely point you in the direction of better books! Nobody is perfect and although of high standard, we still can’t expect perfection from them. They can give us expert opinion, but in the end, the decision making all goes down towards you and no one else. 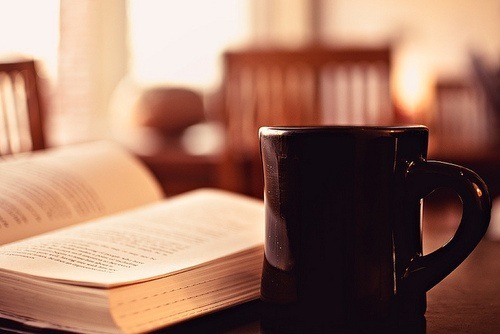 Some people read to take their mind off of things and forget their everyday lives. Basically, some people read as a distraction. Well, we all know reading is more than that. Some kids dread reading books because of the boredom it may cause but frankly, books are very entertaining. 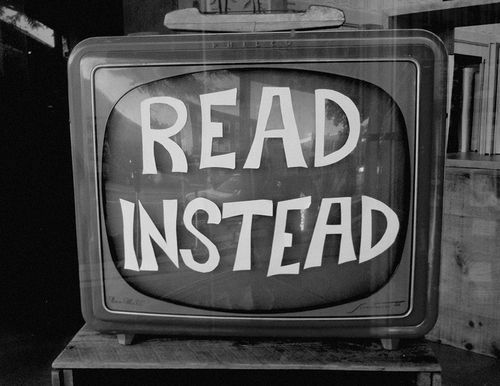 Ever since television was invented, people started to lose the interest in reading as it does not stimulate two of the very important senses to people, both their sense of sight and their sense of hearing. The thing about television is that it translates information in both a physical and verbal way which you will automatically accept as it is. For example, the television shows a person in a big house. With the television, instead of having to imagine the house, it fills you in detail by detail of how the house actually looks. From the colors to the bricks, the television shows you every little spec of detail. The television is definitely a technological advancement and we should be pretty proud of it, but then again, what has it taken away from us? The television has taken away our hobby of imagining. Since everyone is already used to see things as they are, they take away the beauty of our imagination. Our imagination is a powerful tool. In fact, we wouldn’t be where we are right now without our imagination. Back in the day, with the limited visual and sonic stimulation, people were very fond of imagining. This is why they would take something they saw for the first time with a great amount of wonder and awe. Television has become a substitute for our imagination and although television is still a great source of information, it tends to substitute imagination. Now, here’s the question, which is more important, knowledge or creativity? Some people are overloaded with knowledge and others with information. Not everyone has the right balance of both. Some people are more knowledgeable and others are more creative. Without one, the other wouldn’t be able to function to its full potential. How can you maximize your creativity if you aren’t that knowledgeable? Well, the effects of the balance of your creativity and your knowledge can be pretty big. Not everyone maximizes their knowledge and creativity but we can definitely notice people who do. People like Walt Disney, Steve Jobs, Bill Gates, and so many more. The effects of maximizing both your knowledge and creativity are exactly what you need to succeed in life. Creativity helps create the vision of where you want to be, who you want to be, what you want to achieve, and so many more. 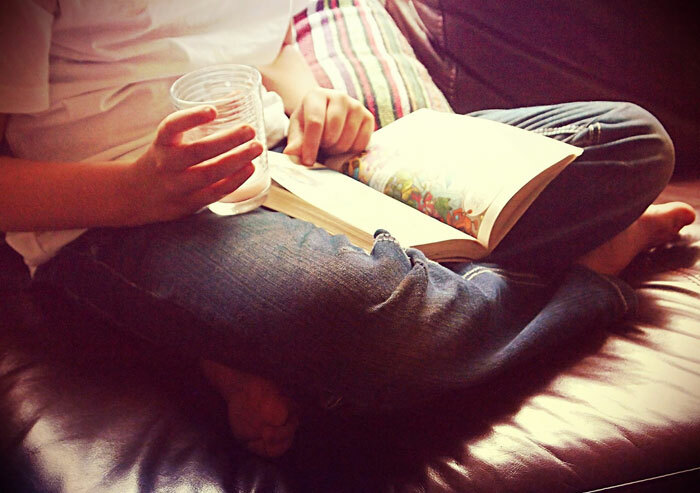 Now, how do we balance the battle between the television and the book? One book takes up much more time than a movie and you usually get as much in a movie as you get in a book. Of course this isn’t always the case. Movies have a tendency of simplifying what can only be experienced in the book. 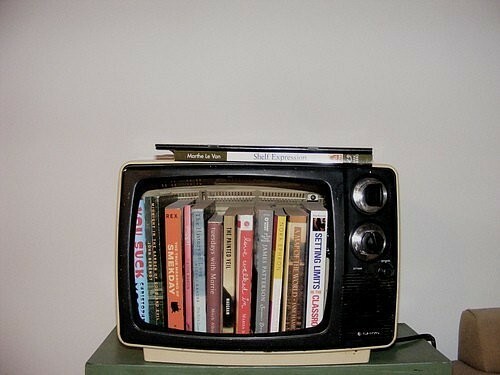 Now, the key to balancing out the battle between the television and the book is by alternating. There are times when it is good to watch television and there are other times when it sure isn’t helpful. The same goes with a book. Sometimes you just don’t have the time to read. Schedule a time to read your books. Feed your mind with both knowledge and creativity and unlock your potential. Primers hold the promise of keeping your make-up for longer wear, minimizing your pores, and smoothening your skin. It’s considered as a holy grail in the cosmetic world – and its importance isn’t something that is taken lightly. An iconic make-up base, this product is well received among professional make-up artists for effectively evening out one’s skin texture along with reducing your pores. It is best used after moisturizing the skin, gently patting it on your face to lock in the hydration. If you want to prevent your skin from looking dry and dull during a long day, simply apply the primer on the high points of your face as it refreshes your base and adds brightness. It’s not a surprise to know Kat Von D’s hydrating primer is a best-seller. 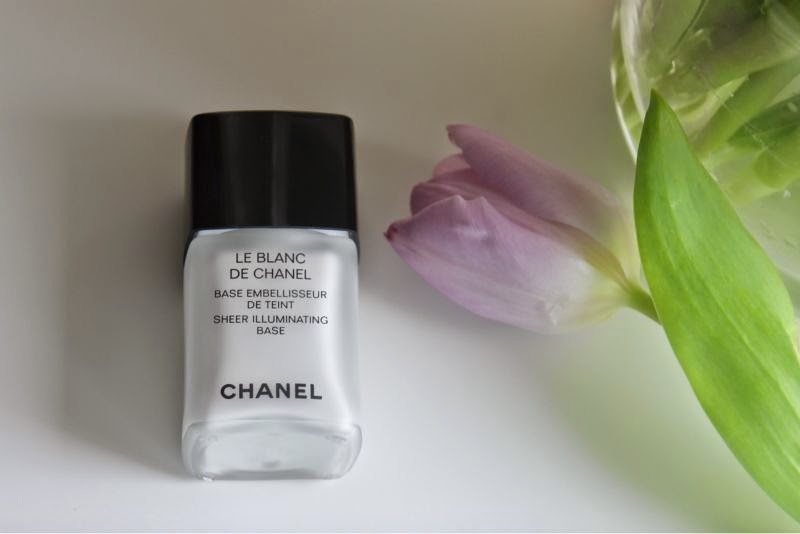 With a nourishing and weightless formulation, it’s basically a steal! It’s also packed with shea, aloe vera, vitamin B5, and jojoba – which makes the product ideal for those with sensitive and dry skin. Another icing atop the cake? It has oxygen-boosters which makes the skin look perfect with a poreless, smooth finish. Given Singapore’s scorching heat, you need all the help you can get from a powerful makeup primer. 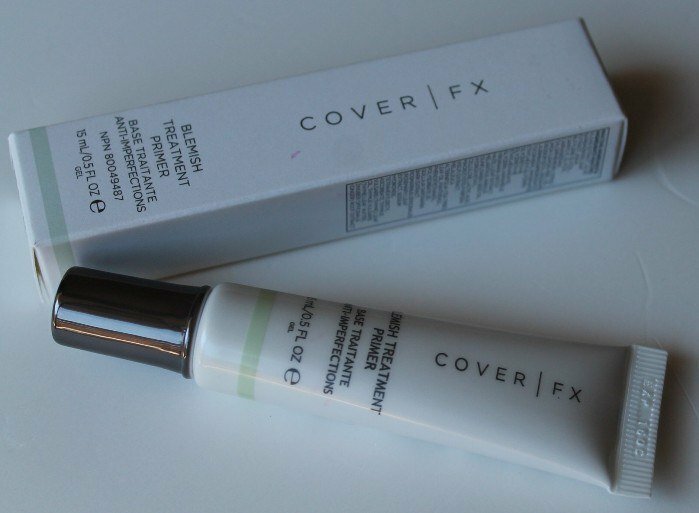 The Cover FX Blurring Primer is a good pick as it gives you the perfect base to work on and it also keeps your make-up from sliding off while outdoors. Its lightweight balm applies transparently, leaving a smooth finish that reduces the appearance of your pores and other fine lines. This is for the ladies who are guilty of frequent happy hours! If you want to give your dehydrated skin a quick boosting, Too Faced’s Hangover Primer is considerably the perfect antidote for your woes. This product is also designed for those who drink far too little amount of water on the daily. Rejuvenate your skin with this primer infused with probiotics and coconut water. Not only does it hydrate your skin, but it also sets your makeup for longer wear and boosts your skin’s natural radiance. 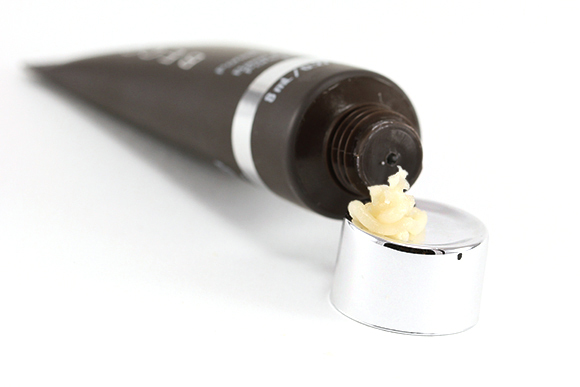 If you’re keen on mattifying your look, you’ll be pleased with Becca’s Ever Matte Poreless Priming Perfector. The product is sweat and humidity resistant, and it also effectively controls excess oil. Just ensure to blend the primer as soon as you apply it on the face because the product dries quickly! In our busy day-to-day lives, it is hard to devote time and effort towards one’s skincare routine. Some of us feel a little too weary to even reach for our toners and moisturizers at the end of the day. While jumping to bed without any care in the world to wash off your make-up might be tempting, remember that you are only making your skin prone to unclogged pores and excess product build-up! Accordingly, maintaining a regular skincare routine can be considered an investment in the long run. You will be rewarded with a youthful, healthy, and vibrant skin for the many years to come. And since your skin faces several challenges on the daily – such as harsh UV rays, pollution, and harsh abrasion, it is your responsibility to protect your skin with the proper skin care products. As you get older, your skin is also prone to the effects of aging. Your skin at 40 may not be as vibrant and radiant as it was when you were 20. However, if you take good care of your skin at an early age, there’s a great chance you can protect your skin from the effects of aging. Regular exfoliation, for example, leads to more dead skin cells removal and youthful skin cells replacement. Exfoliating the upper level of the skin makes it appear more vibrant and fresh again. You can’t expect visible results after using various skin care products only a few times. The Singapore skincare market is filled with ‘miracle’ formulas and ‘instant result’ products, but while these offers might be luring just about to anyone, consistency is still the key to achieve the improvement of your skin’s current condition. Stick with your skincare routine, and learn to be patient. You will notice noticeable results over time! While your car and other material equipment needs regular maintenance, your skin also requires maintenance from time to time. 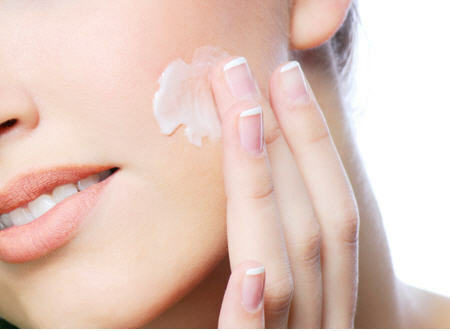 Every step included in your skincare regimen is important in keeping your skin’s good condition. Applying various skincare products is vital in preventing acne, getting rid of excess product and dirt build-up, treating premature wrinkles, and enhancing your skin’s natural clarity. Taking good care of your skin has several noticeable benefits, but another striking benefit to a regular skincare routine is how it’ll make your skin take care of you in return. Your skin works hard on regenerating the cells as you sleep at night. This helps your skincare products maximize their benefits on the skin efficiently. If you make an effort to properly remove your make-up each night and regularly cleanse your skin, your skin will be more adept at repairing itself. Products such as toners and moisturizers will also be absorbed more deeply. Commuting is something most of us experience everyday but sadly, no one seems to enjoy it. When we were kids, we would still feel the rush and excitement of riding an MRT or a two-story bus but nowadays, it is hardly something enjoyable anymore. Here’s the thing, you can’t really change the situations you have to go through, the only thing you can change is how you react to the situation. Instead of not being able to enjoy your commute at all, let’s look for ways for us to enjoy it. Why shouldn’t we? Music is a great way for you to take a step back but enjoy your surroundings at the same time. Music can take a perfectly dull moment and transform it into something you could actually look forward to during the day. To make this better, refrain from listening to music on other times of the day to make this more special. That way, you’d actually look forward to commuting to listen to music. Another great thing to do is to download a playlist of your favorite songs just for your commute alone. This way, you’ll make your commute more memorable. 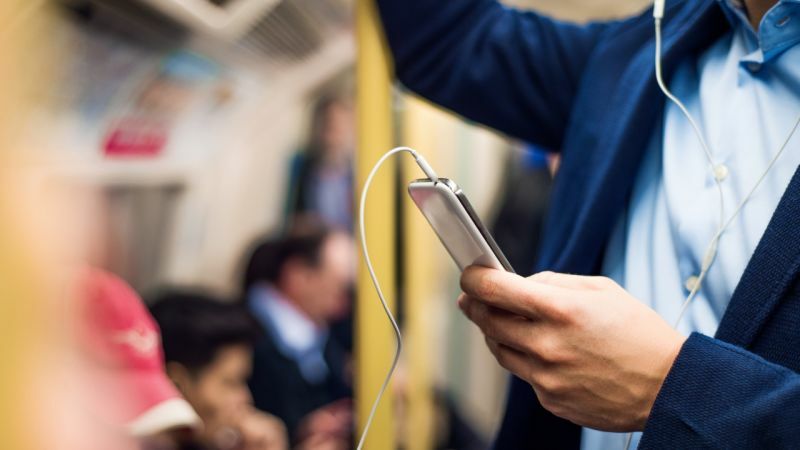 Depending on how long your commute is, listening to an audiobook is a great way to lose yourself in the midst of everyone around you. Listening to audiobooks might get your imagination running a little wilder than you would have expected. Allow your imagination to run wild! After all, you’re just commuting. Although this may be hard sometimes, but watching a video or two on your phone is a great way to enjoy your commute. This gets tricky though if the transportation isn’t smooth and it might cause headaches. Make sure to watch videos only when you know that you’ll be having a smooth ride all throughout your commute. Who says learning has to stop? In fact, you can actually learn at any time of the day! All you have to do is listen to lectures. Now this is the amazing thing about technology, it allows you access to information far beyond your physical reach. Who knows, you might even learn something that could really help boost your career into another promotion or so. Commuting doesn’t have to be something you don’t enjoy. You can collect your thoughts, reflect, listen, and learn even if you are on your way to work. On average, we spend about at least an hour a day for going from one place to another and imagine if that hour was well spent. That hour is sixty minutes! You can do a lot with sixty minutes. Working on your approach or the actual conversation itself is all very important but to actually leave an impression, you’d have to give importance on ending your conversation. 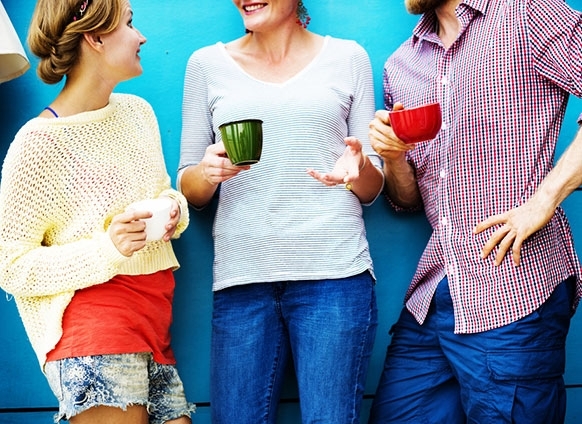 As human beings, it is definitely crucial that we live our life with a healthy dose of good conversations. Without healthy conversations with people, we wouldn’t be as healthy and won’t be able to function to our full extent. It usually takes a lot give somebody the right impression with the right conversation and it is most definitely understandable that the conversation has to end. The problem though is how to end the conversation. To leave an impression embedded in their minds, there has to be the right conversation enders. Now imagine this scenario, you’re talking to somebody of the utmost importance and your conversation was cut short because of the limited time given. In order to leave the right impression, you should end on the right note. Sadly, if you aren’t able to end the conversation properly, the whole conversation might even be forgotten. Respect, timing, and the right choice of words are the three important elements that dictate the impact of how you end the conversation. Sometimes it is better to finish the conversation but for other times, leaving an unfinished conversation is still acceptable depending on the parting words, the timing, and the sincerity of the words you choose to use. Using a compliment as parting words is a great way to end the conversation. But then again, you should still definitely make sure that you choose your compliments wisely. Not everybody can leave a conversation while making an impact with charisma. Charisma plays a great role in every conversation but for those of you who are still working on your charisma, learning a few tricks wouldn’t hurt at all. Not everyone was raised up to be charismatic. But the older you get, the more you realize how important charisma is. Not only does charisma strengthen your how approachable you are, it also strengthens the impression you leave on people once you’ve parted the conversation. Now some people have it naturally, but it is not something that only a few can do. Anyone can improve their charisma. Parting words are usually the ones least thought of. Parting words are usually used to sum up your opinion of the conversation or maybe even the person themselves. A few rules of charisma is to focus on both your entrance and your exit but it seems that people are only interested in their entrance rather than their exits. Make sure you give equal emphasis to both of these things. The right words are usually the ones which are most personal, the more generalized your parting words are, the easier they are to forget. 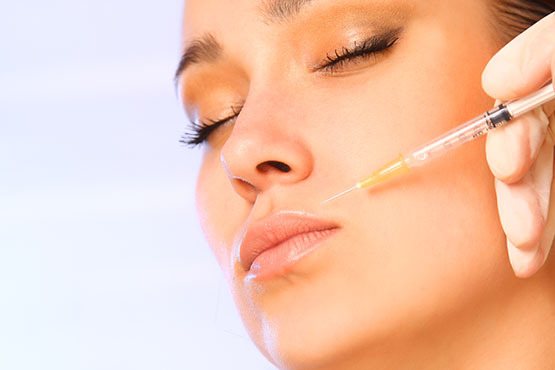 Injectable fillers are not all advantages and benefits. If misused, it will worsen the appearance of your face instead of improving it. To help you resolve your injectable filler ordeals, here is a list of the possible problems or side effects that you might experience from using the products, as well as the ways on how you can possibly prevent or fix them. Injecting fillers – face and nose fillers alike – usually causes a little bruising or small red spots in the particular area, but with a little knowledge on how to prevent it and a good aesthetic clinic or injector, the incidence of bruising can be minimized. Fix It: Other than covering it with makeup, bruising after injecting Juvederm or Restylane can’t be cured nor fixed. So instead of dealing with bruising post-operation, the best way to rid of it is to prevent it beforehand. It’s possible to prevent it by avoiding aspirin and similar medicines. Another way to prevent excessive bruising is to take arnica a day prior to your appointment. Each of us have a natural asymmetry in our faces, and this is perhaps what makes each of us beautiful in our own asymmetrical way. Using fillers from the best nose fillers doctor in Singapore to correct an uneven facial feature – injecting nose fillers to straighten out a crooked nose – can be a good option to improve your appearance. 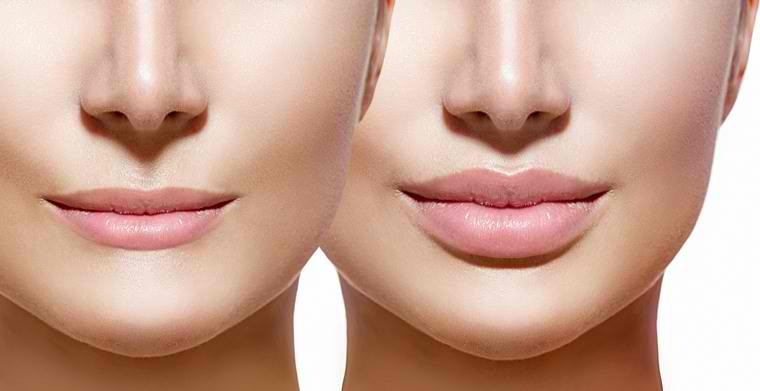 But if your Juvederm injection produces a lop-sided look, then better consider getting some revision. Fix It: Facial asymmetry after a filler injection can be caused by bruising, so all you have to do is to wait it out for a week or two. 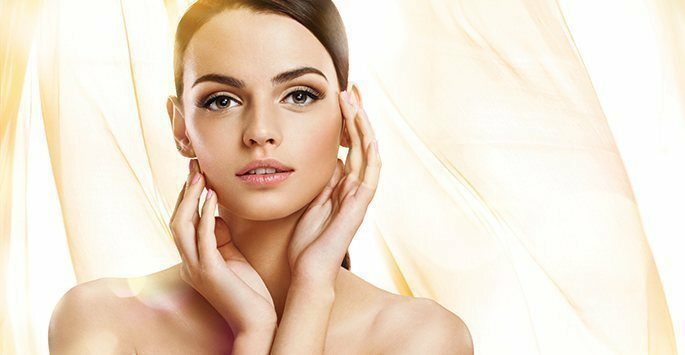 Now, if the asymmetry is still apparent after a couple of weeks, then do consider calling your local aesthetic clinic in Singapore. Depending on how you want to deal with this problem, your doctor can choose to either inject you with more fillers, or to reduce the fullness brought by the filler. Experiencing some puffiness after getting a filler treatment is pretty normal and will likely resolve on its own a week after the procedure. Also, the bruises caused by Juvederm are usually deep and not visible on the surface but there’s a chance that it will cause some puffiness. Fix It: If you’re not comfortable with the puffy feeling, we suggest that you visit your dermatologist again and ask him to inject some hyluronadase on the over-filled area to reduce its fullness. Having an under-filled filler injection isn’t actually a mistake, since most patients would prefer to start off their procedure with a conservative amount of filler to see how their body would react to the product. In fact, it’s a good idea to start slowly for first timers. Most doctors would actually under-fill slightly on your first appointment but will also tell you to return after a week or two for an additional injection if the result appears to be not quite enough. Although there are some rare reports of experiencing small bumps and lumps after undergoing a Juvederm or Restylane injection, these bumps are actually the small bruises that are lying underneath the filler. Fix It: The best possible way to fix this problem is to wait things out for at least ten days, and if the bump is still noticeable after that, then we suggest that you go to your Singapore doctor and have him remove some parts of the filler to rid of the bumps. Every filler has its own drawbacks but now that you know how to properly deal with such problems, you can now fully enjoy the results of your non-surgical cosmetic procedure. In-flight meals has taken on a bad reputation for the past few years, with the prejudice is warranted for a number of reasons. With bland meals laden with unnecessary calories, along with the increase in appetite being in the air brings, flying on a plane can ruin your diet regardless of whether or not you are tempted by the food they offer. There are exemptions to this, of course. Singapore Airline’s famous Suite Class has received nothing but good word-of-mouth from passengers. Various individuals have complimented on the amazing service by the crew and the fantastic meal options whether in business or economy class. Such cases are rare, however, and airline foods still are dominated with lots of raised issues and concern. People are still divided over the idea of consuming airline food while in flight, even if airline food has mostly improved its quality over the years. In a book entitled Gastrophysics: The New Science of Eating, research suggests a number of reasons behind why in-flight meals can be bad for you. 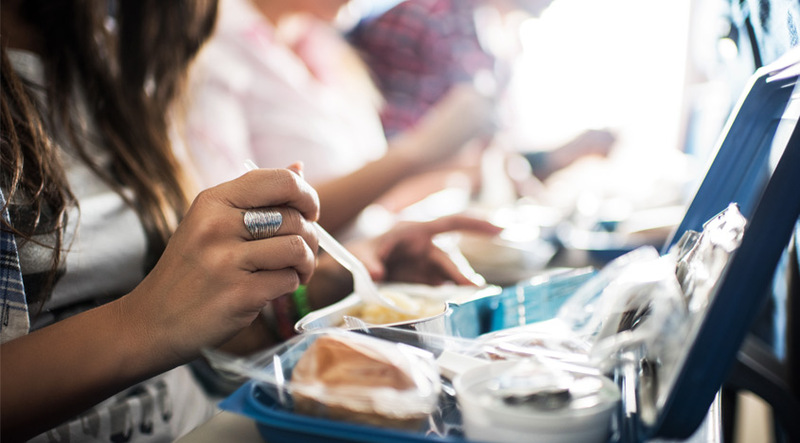 Professor Charles Spence, together with other inflight food experts, issued warnings regarding the 15 to 20 percent more sugar added to the meals we eat while in the air to give it the same taste perception. Factors like low cabin air pressure and dry air contribute to our inability to properly taste food, which is why a lot of airlines opt to add sugar content if it means less dissatisfied passengers. 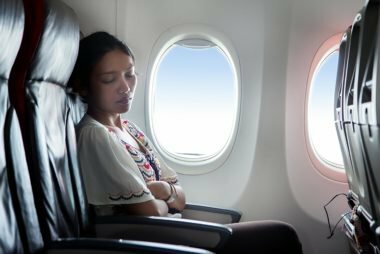 With limited things to do while in flight— like watching inflight entertainment in a cramped space or listening to others snore, food turns into an appealing distraction. Particularly when it’s free, most passengers would ask for second servings of desserts, alcoholic drinks, and fruit juices. When you are convinced there’s nothing better to do anyway, you tend to develop a mindset you might as well eat. 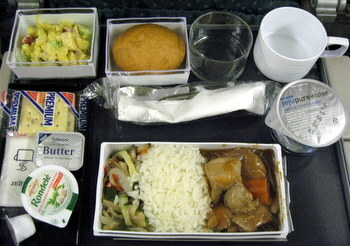 Most inflight meals are generally prepared between 12 to 72 hours prior to the time they are served on the plane. They are reheated again merely a few hours before consumption, giving it a sense of being ‘newly cooked’, but it is indisputable how the quality of these meals change over long periods of stalling. Now you don’t have to wonder anymore why your chicken lunch option looks undercooked, unappealing, and just plain sad. Passengers often refuse free airplane food because they hate the effects it has on the body after landing. Yes, this may be impractical considering you’ve paid for these meals, but it could not compensate the unsatisfactory feeling it brings to people afterwards. For instance, eating salty, stale food at thousands feet up in air usually just bloats you. It may also lead to indigestion which then leaves you feeling awful upon arrival. Because of this, some people choose to snack prior to their flight and keep their stomachs full.